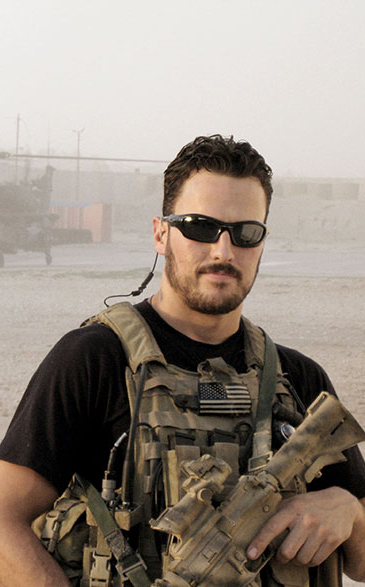 Jeff served as a Green Beret with U.S. Army Special Forces, completing service in 2009. He was deployed multiple times to Iraq, and has excelled at completing various tactical shooting courses with both assault/tactical rifles and pistols. A certified NRA Pistol Instructor and Training Counselor, Jeff has completed courses under world champion pistol shooters and has trained hundreds of civilians in use of a firearm. He previously served as the Director of Training and Lead Instructor for a shooting range in Denver, Colorado, where he developed and expanded the training division. Throughout the country, Jeff has utilized his Army Special Forces experience to deliver tactical weapons handling techniques to civilians and law enforcement personnel. He has trained foreign military and police units and U.S. Special Forces units, as well as local and federal law enforcement personnel. "We see shooters of extremely varied ability and levels of training, and we’ve designed the curriculum so that there’s something for everybody to take advantage of in just about every drill … as long as they come wanting to learn". Tac7 provides individual and corporate security training solutions. Specializing in readiness training and risk mitigation for you, your company, and your family. Tac7 was founded by members of the US Special Operations community and can train you how to respond to some of the most dangerous threats posed today.